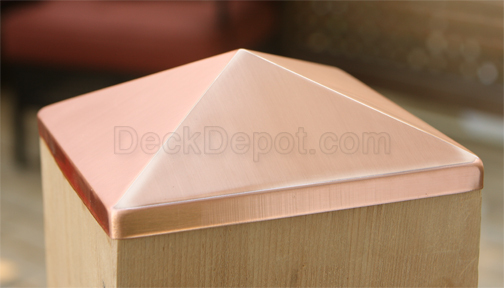 Solid brushed copper cap keeps your post top from rotting. 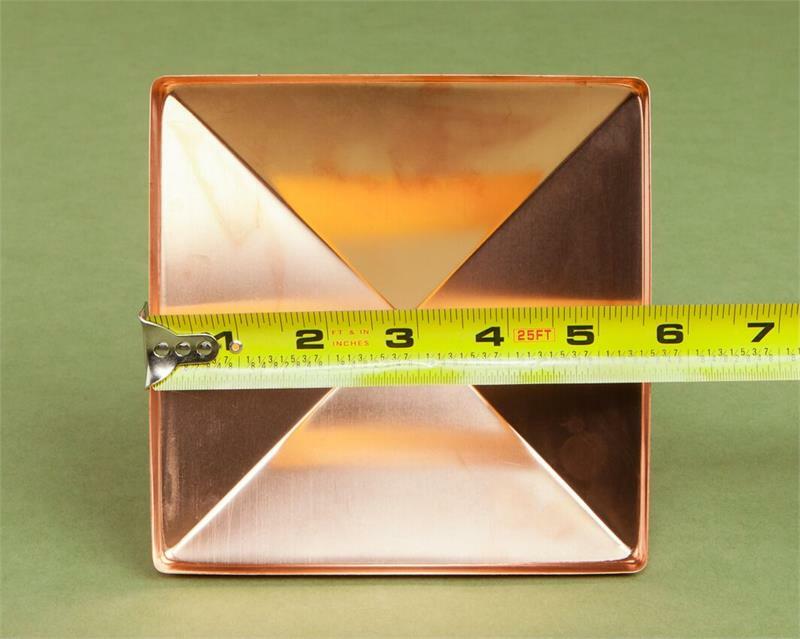 Fits a 5-1/2" x 5-1/2" wood deck or fence post. Actual opening: 5-9/16" x 5-9/16" with a 3/8" lip and overall height of 1 1/2" . 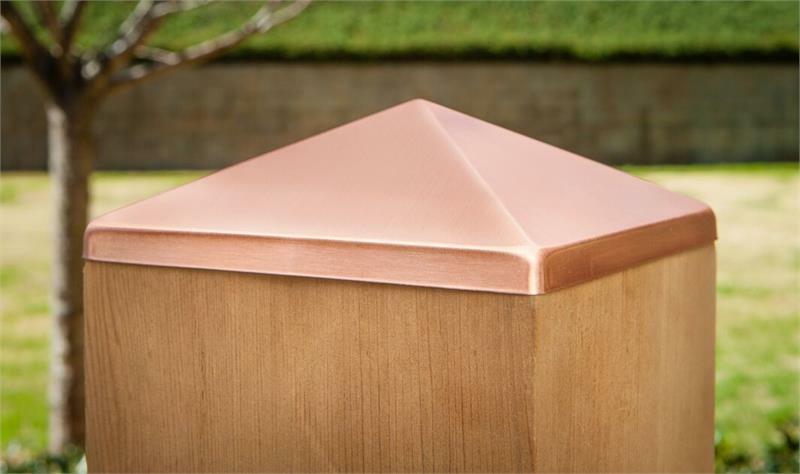 Apply easily with a little adhesive on the inside lip of post point.